LEBANON, Va. Anna Jessee Counts, 93, a long-time resident of Lebanon, Virginia, passed away on Saturday, December 3, 2016, in Abingdon, Va. She was born on August 24, 1923, in Russell County, Virginia, the daughter of the late Kaney Burns Jessee and Willie Mae Jessee. 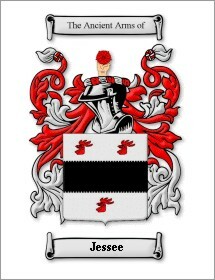 She was preceded in death by her husband of 57 years, Henry Counts; and her brother, Paul J. Jessee. After graduating from Temple Hill High School, she began her career in retail sales at Jenks and Mast, Lebanon Department Store Keene Outlet. She was active in the Red Hat Society, Home Demonstration Club and the Top 50 Group at the Lebanon Baptist Church where she was a member and worshiped for over 47 years. Her greatest passion was cooking and feeding her family and friends. She is survived by two daughters, Martha Kiser and husband, Gary of Fort Wayne, Indiana and Betty Rowlett and husband, Fred of Abingdon, Va; two granddaughters, Sara Paris and husband, Mike of Fort Wayne, Indiana and Emily Alvarez and husband, Steven of Dallas, North Carolina; and six great-grandchildren, Ava, Mia, Sam and Sophia Paris, and Brooks and Benjamin Alvarez. The funeral service will be conducted at 2 p.m. Wednesday, December 7, 2016, at the Combs Funeral Service Chapel in Lebanon, Va with the Rev. Heath Kahlbau officiating. Burial will follow at Forest Hills Memory Gardens in Abingdon, Virginia. The family will receive friends from 6 until 8 p.m. Tuesday, December 6, 2016, at the funeral home. In lieu of flowers, the family suggests donations be made to Lebanon Baptist Church, P.O. Box 488, Lebanon, VA 24266, or St. Judes Children's Research Hospital, P.O. Box 50, Memphis, TN 38101-9929. Expressions of sympathy may be made online to the family atwww.combsfuneralservice.com. Combs Funeral Service, 291 Highway 71, Fincastle Road, Lebanon, VA 24266,(276)889-4444 is serving the Counts family.